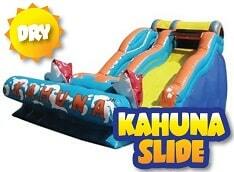 This Slip and Slide Waterslide is perfect for those sunny San Diego days! 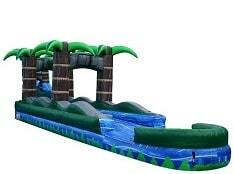 Riders jump, slip and slide through 30ft of fun before splashing down in the pool area. This bright and colorful water theme is eye-catching! Minimum space: 35L x 12W x 13H.